Searching for a place to celebrate the best event of your life? Restaurant Butoias can be a great venue! With classical-style rooms, oriental hall with hookahs, and a lounge with a fireplace, this restaurant is the place where you dreams of a wonderful event comes true. Once you are here, you will see giant sculptures of fierce lions, magnificent views of the fountain, Moldovan-style lobby with cozy seating arrangement, and an exotic wine room that offers a great variety of wine selected from their own local winery. Want to see something majestic? Then turn your head up and look at the chandeliers. We promise you won’t be able to take your eyes off them! To personalise your visit to the city, you can use an all-inclusive Chisinau trip planner for the same that will give detailed information about visiting the city. Fine Accommodation options like Cosmos Hotel, Edem Hotel, Villa Natali and Park Lane Hotel will meet your requirement of where to stay in Chisinau. Find out how to reach Chisinau to begin with. 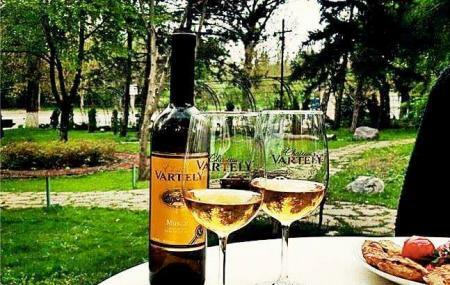 Plenty of wholesome Chisinau vacation packages are available to choose from, pick your today! Love this? Explore the entire list of places to visit in Chisinau before you plan your trip. Fancy a good night's sleep after a tiring day? Check out where to stay in Chisinau and book an accommodation of your choice. Good traditional food! Fine view!